So it is with former first lady Barbara Bush, who lived in the White House with her husband, former President George H.W. Bush, from 1989 until 1993. She is now at home in Houston. Mrs. Bush has declined any further medical treatment. She has requested “comfort care.” Her family has gathered around her. Yes, it looks as though the end is near. More than likely. My difficulty deals with watching this marvelous woman struggle to remain among us. The love story that unfolded in January 1945 when she and the young Navy aviator married. They now hold the presidential record for marital longevity. Mrs. Bush always acquitted herself with class as well as with candor. Her children and grandchildren call her The Enforcer. No one put anything past this marvelous individual. She made literacy her hallmark while serving as first lady. She read to children. She sought to imbue in our kids a love of literature. 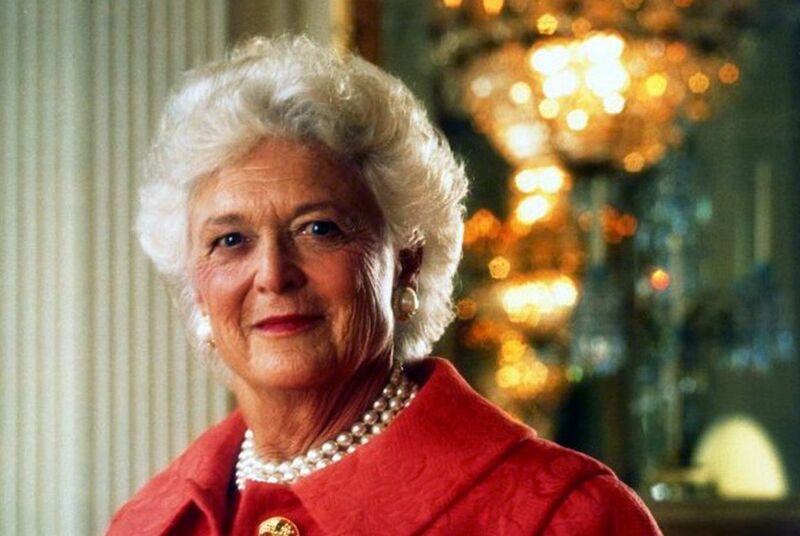 Mrs. Bush created a foundation to continue that work after her time as first lady had expired. The world has joined in offering love and support for this iconic American political family that has been led by a matriarch who stood tall next to her husband — and her oldest son, George W. Bush, who also ascended to the presidency. Still, it is damn hard to watch this story unfold.